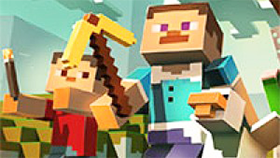 Minecaves 2 is a wonderful Adventure video game that will invite all the Minecraft fans to come and try it without any effort. Serving the iconic bit graphics that can only be seen in Minecraft, Minecaves 2 perfectly follow the footstep of its senior. 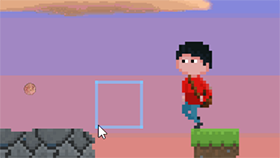 In this game, you will control a character who is able to fly around the game world. While he’s flying, this character will release colorful glitters that mark his tail. 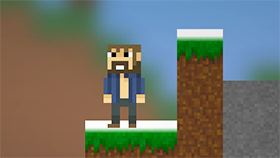 The purpose of the protagonist’s adventure is exploring the caves made from red blocks in the game world to collect jewels and the golden stars. The game also brings in some obstacles such as the dangerous Bats, the insane Sea Water, the deadly Knights and the more. You will have to avoid them all to save your three lives. Each time you interact with one of those obstacles, you will lose one live and the longer you interact with them the less you stay in the gameplay of Minecaves 2. There is a door that leads you to each level, and that door is also the object that will lead you to the next stage of your journey. 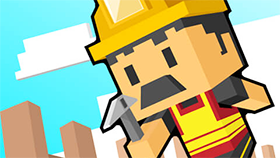 Minecaves 2 provides you with very addictive gameplay, which can’t be described with one adjective. 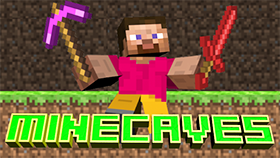 Let’s start the gameplay of Minecaves 2 now and manage to claim your victory after surpassing all levels of it! 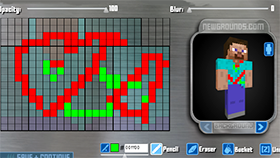 Press the arrow keys to make your character go in different directions. Your character move isn’t that flexible since he only can go straightly to the dead end of a direction. The more you play, the more elements will be revealed. At Freegames66.com, Minecaves 2 Unblocked is well-served. 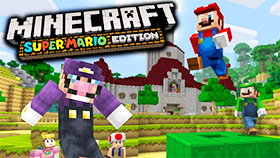 Let’s get to this amazing gaming site and try many other great games with similar gameplay to Minecaves 2, now!